How to deal with, or altogether prevent, mistakes? And not every mistake is a catastrophe. At the start of their career, self-employed architects are frequently confronted with unpleasant experiences such as error, failure, or prejudice. Particularly, young architects are likely to be suspected of insufficient experience by clients. And, honestly, hardly anyone is really prepared for each and everything that they may be expected to know or do as self-employed architects. It is comforting therefore to see that even experienced professionals make mistakes – in fact, the building industry on the whole is rather mistake-prone, understandably so, considering the intense pace of work, the low level of investment, and slender profit margins. The first thing an architect has to be aware of is the special responsibility he or she is taking on. This may considerable differ from country to country as shown in ‘Where can things go wrong’. 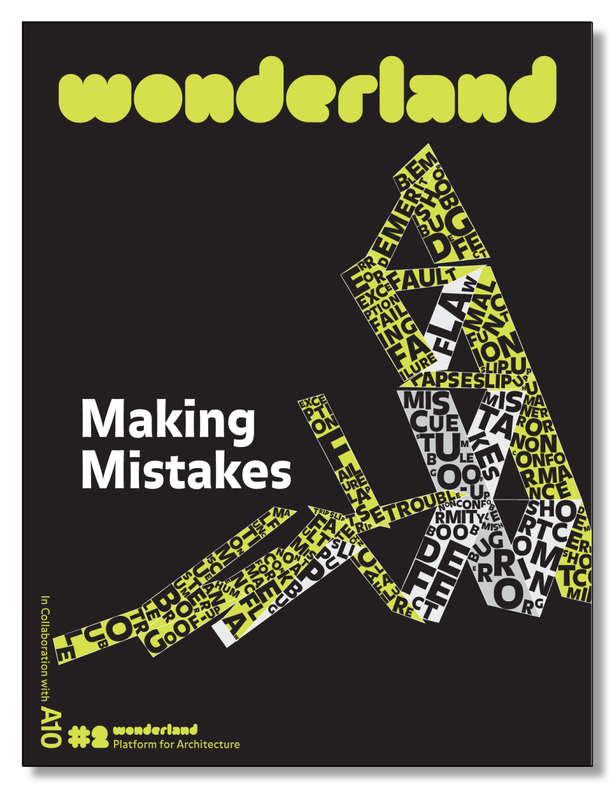 Mistakes need not to have fatal consequences, but can also be a source of new ideas. In scientific research, ‘trial and error’ is an acknowledged method, but in architecture, a one-time error may cast a long shadow on future trial. Some of these aspects are discussed in ‘Why make mistakes’. And finally: architects will be recurrently confronted with mistake prevention and crisis management – hence the theme of ‘What to do when things go wrong’. My coder is trying to convince me to move to .net from PHP. I have always disliked the idea because of the costs. But he’s tryiong none the less. I’ve been using WordPress on various websites for about a year and am concerned about switching to another platform. I have heard excellent things about blogengine.net. Is there a way I can transfer all my wordpress content into it? Any kind of help would be really appreciated! ihrpgh,Your blog was informative and valuable to me. Thanks for sharing. lhlgadyftwl,Very helpful and best artical information Thanks For sharing. mwbtuuubb,Thanks for sharing such an amazing blog. I am so happy found this informative blog. agtymeod,Definitely believe that which you said. Your favourite justification appeared to be on the net the simplest thing to remember of. kiveecp,A very good informative article. I’ve bookmarked your website and will be checking back in future! sdgqgzhvmcr,Definitely believe that which you said. Your favourite justification appeared to be on the net the simplest thing to remember of. kjhfcxsw,Quality blog, keep up the good work. You may check our website also! yvgpzcfztu,If you are going for best contents like I do, just go to see this web page daily because it offers quality contents, thanks! lbtsoid,Definitely believe that which you said. Your favourite justification appeared to be on the net the simplest thing to remember of. gmuzzhco,Waw! Its really great and wonderful ever i found. Thank you for sharing this info. rdodtovesbn,Thanks a lot for providing us with this recipe of Cranberry Brisket. I’ve been wanting to make this for a long time but I couldn’t find the right recipe. Thanks to your help here, I can now make this dish easily. zfmkkjkjm,Very helpful and best artical information Thanks For sharing. qvltvi,Definitely believe that which you said. Your favourite justification appeared to be on the net the simplest thing to remember of. onrplgu,If you want a hassle free movies downloading then you must need an app like showbox which may provide best ever user friendly interface. eutxtwvzrYeezy 2019,Definitely believe that which you said. Your favourite justification appeared to be on the net the simplest thing to remember of.